Princeton University Observatory, Princeton, N. J. A unified treatment of the Rayleigh, Einstein-Smoluchowski, and Cabannes-Kingformulas.—Schuster has shown that the well-known Rayleigh formula for molecular scattering of light can be derived from general wave theory without special postulates (customarily introduced) which are peculiar to the elastic-solid, the electromagnetic, or the electron theory. The present report—the content of which is theoretical and mathematical—discusses the restrictions of the Rayleigh formula; and extends Schuster’s demonstration to the two generalizations which have been developed, respectively, by Smoluchowski and Einstein, and by Cabannes and King. The former applies to dense media, and the latter to scattering by anisotropic molecules. Extensions of the Rayleigh formula.—The same method leads to two new generalizations. The first theoretically applies to resonance scattering, and, in a special case, is equivalent to a formula derived by Lamb. The second applies to scattering by a gas which contains active molecules of more than one type. The relation of scattering to opacity is briefly discussed. 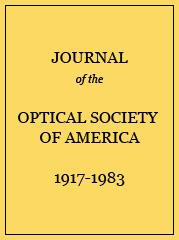 A partial bibliography is included, of Rayleigh scattering and of opacity in general. The standpoint throughout is that of classical theory; the quantum theory of scattering is not dealt with in this report.